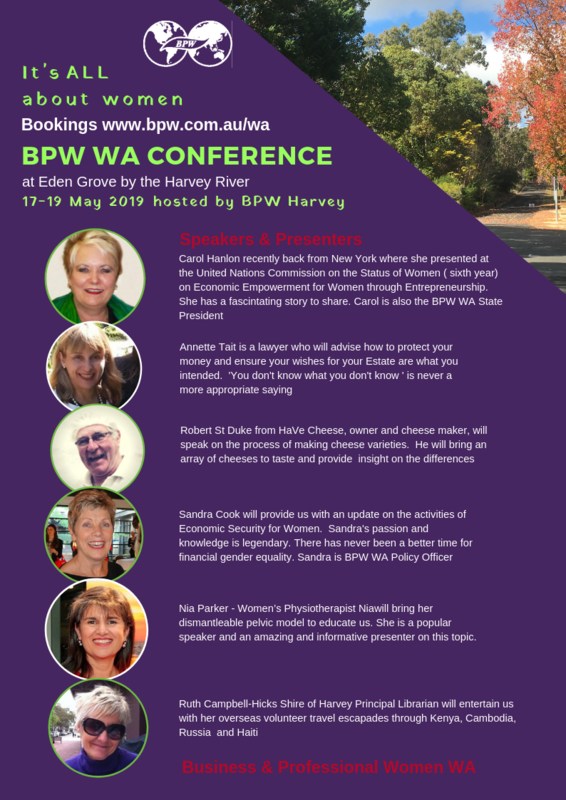 BPW Joondalup features expert speakers on issues facing women locally and around the world. 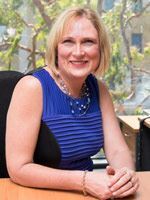 Our projects and programs focus on what matters to women including health, equal pay and leadership skills – our goal is to help women gain the skills they need to succeed in whatever they want to do. We run a UN Women (formerly UNIFEM) Spring Walk annually, support the White Ribbon campaign against domestic violence every year and also raise funds for BPW’s international projects such as nursing school scholarships in La Paz, Mexico. 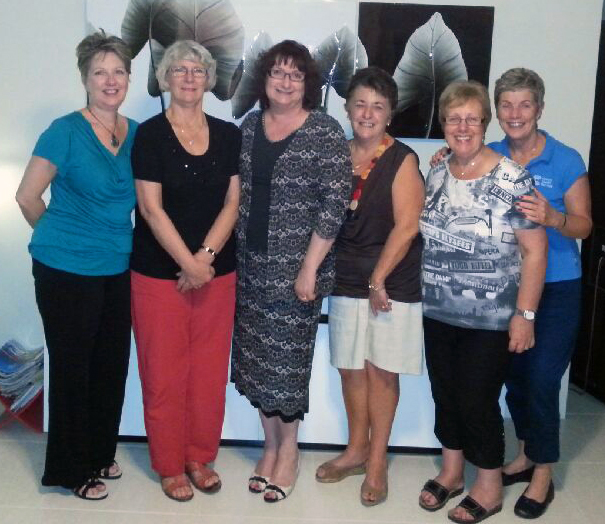 BPW Joondalup has a reputation for being committed, reliable, loud (! ), fun, friendly, involved, supportive, energetic and liable to burst into song at any moment. We actively encourage new members and guests to join us at our meetings - check our upcoming event for details. Our monthly meetings are held in and around Joondalup at venues suited to each event. 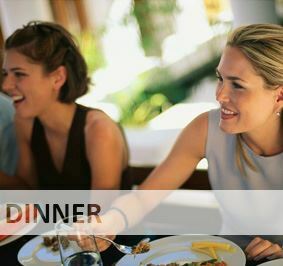 Generally we meet on the second Tuesday of each month but always check our Upcoming Events Page for details. If you are interested in finding out more about BPW in your local area, you are invited to join us at one of our meetings. Please check the Upcoming Events sections above to find out what's coming up. You can book online to attend. Come along to find out more about us, meet some of our wonderful members and enjoy a topical guest speaker. 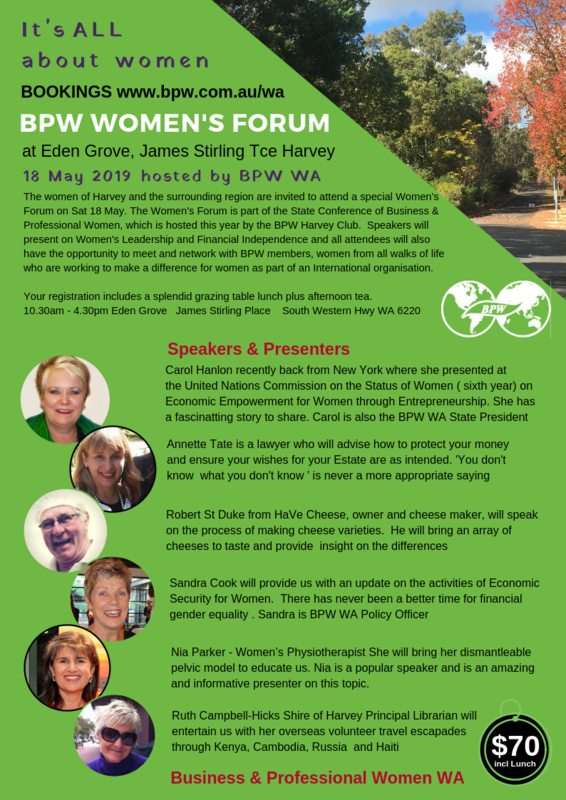 Members of BPW Joondalup welcome you to join us at our regular events offering great networking opportunities with other like-minded women from the northern suburbs of Perth. We meet monthly, and our events include dinner meetings, personal development and training workshops, social outings and working breakfasts! 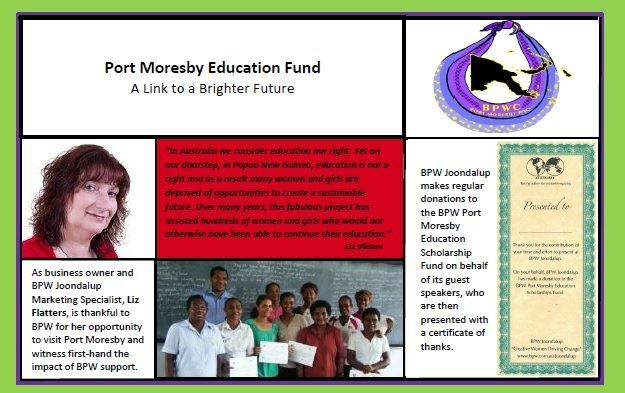 Hear more about our special projects which include education opportunities for women and girls in Papua New Guinea and Mexico, plus we participate in the world-wide campaign for Equal Pay and gender equity. . Contact us to find out more, or you can book on line to attend our next function. We support the local, national and international projects that our club members have chosen.